Automotive headlights are made of plastic and can become cloudy due to various driving factors. Headlight performance can reduce over time because of the discoloration caused by UV light exposure as well as driving conditions such as road debris impact. Although Nissan vehicles have headlights designed with high-quality durable hardcoats, the protective finish will ultimately wear down due to UV degradation and abrasions. If headlights are not restored, it is possible for the surface to crack. Cracked headlights experience reduced light output and driver visibility. When headlights become increasingly cloudy or cracked, the light quality leaving your headlights will be compromised. Reduced light quality from your vehicle’s headlights is a visibility and safety concern for us at United Nissan of Las Vegas. One of the best ways to get you the best visibility and safety at night and in adverse weather conditions is with Nissan Headlight Resurfacing & Restoration Service. United Nissan is conveniently located in Las Vegas within driving distance of Spring Valley and Paradise. 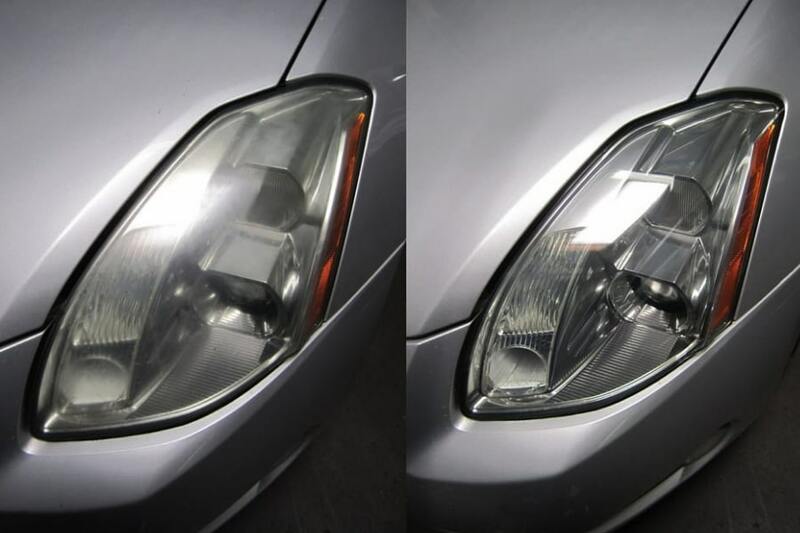 If you live in the area and drive a Nissan vehicle with hazy headlights, then the best way to get your visibility and safety restored is with a Nissan Headlight Resurfacing & Restoration Service. Schedule your next Nissan Headlight Resurfacing & Restoration Service and we’ll have one of our expert certified technicians get the job done right to restore your headlights to factory specifications.